We have plans to help seniors to be able to live in their homes longer, by offering/providing volunteers to help them to maintain their homes, mow their lawns, clean their driveways, help with repairs, etc. In addition, we would like to set up a form of transportation for those who need to get to appointments, grocery stores, pharmacies, etc. when they need to. We are planning to install wheel chair charging stations in specific areas of the city so that people who rely on wheelchairs to get around will be able to charge them during their trip to town. We offer senior programming, meals, trips, day room, Bingo, game room, etc. for seniors to enjoy during open times each week so that they can socialize with friends and meet new people. We will expand on our plans as time goes on. The Auburn Senior Activity Center enhances the quality of life of senior adults 50+ in the Auburn community through social, recreational, health and wellness, educational, and nutritional programs. The Senior Activity Center offers lunch and dinner excursions, short one-day trips which normally require walking, bus tours and overnight and extended travel opportunities. Join us on one of our fun-filled adventures! Recreational opportunities include hiking and nature walks, snowshoeing, dance and exercise classes, travel options, volleyball, and drop-in play in the pool room. The Senior Activity Center hosts a variety of special events and luncheon celebrations. 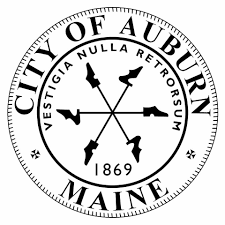 There is a daily lunch program, a monthly supper club, and a monthly coffee hour with the Mayor and Auburn City Councilmembers. A food pantry is offered twice a month and provides access to a wide variety of items such as cereals, grains, cheeses, spices, raisins, juice and soup at bulk discount prices. Educational and learning opportunities are offered through book club, computer classes, driver’s safety, Spanish classes, and art and creative writing classes. A variety of health and wellness programs are offered each session, including foot care, blood pressure clinics, massage, and health and wellness coaching. On-going social time at the center includes games such as Mah Jongg, Scrabble, Bingo, dominoes, Pinochle, Contract Bridge, and puzzles as well as a coffee bar and movie days.